A tree is a great addition to a home and once they are mature and established, many people think they don’t have to worry too much about them. There is the standard tree trimming that should be performed by a tree service company as well as adjusting the water that is being fed to the tree. That is the basis of the work that goes into caring for a tree but there are also tree inspections that should be done as well. 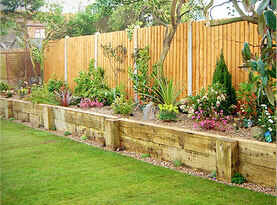 The inspection of the trees will help to catch problems that could put your tree at risk of falling over. How Far Is Your Tree Leaning: A tree is not going to grow perfectly straight without any shape or lean but there is some lean that is acceptable. If the tree is leaning too far it could be at risk of falling over. If a tree is leaning too far it could be from the anchor tree roots having some damage or the weight of the tree is not distributed properly causing it to lean more than is safe. You can look for the soil around the tree trunk to see if it is cracked or heaving. This is a sign that the leaning is causing it to lift and could lead to the tree falling over. Are There Multiple Trunks: A good sturdy tree has a nice large base made up of one trunk. There are some trees that split into multiple trunks in a V or U shape. The problem with a tree that has more than one trunk is that the area where they are connected can become weak and potentially split as the tree grows larger. If you have a tree trunk that has only one trunk but has a deep split in it, it is in the same category as the multiple trunks. You may notice trees that have more than one trunk that are tethered together to help keep it stable. 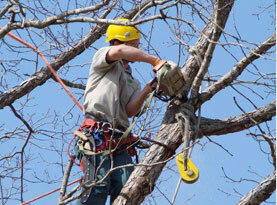 If you feel like your tree is losing strength you want to call a tree care specialist. Wind, Rail & Snow Storm Damage – This one is pretty obvious. Extreme weather can cause extensive damage to trees that often require emergency tree trimming to remove broken bracnes if you are lucky and emergency tree removal if the tree is posing a hazard to buildings, cars and people. Damage From Other Elements: Another way that a tree can be at risk of falling over is when the tree is damaged from some other elements. If you have an established tree on your property and you are doing some work or construction you need to be extremely careful. 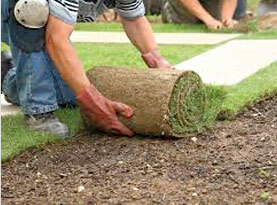 While adding water lines, outdoor construction or installation of a patio or driveway can cause damage to the tree. 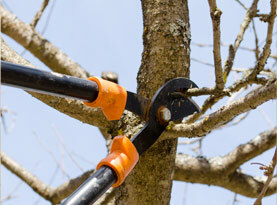 Look for damage to the bark or if the tree is not growing leaves the way that is normally does. If you notice that your mature tree has been damaged you want to contact a professional tree service to come out and care for the tree and do what is necessary to save it if possible. Dangerous Emergency Tree Removal & Tree Trimming Care in Waterbury, Wolcott, Cheshire & Prospect, Connecticut. Now is a great time to contact Bell Tree Services for all your tree service needs before the cooler fall weather hits!